The Apple iPhone sold a staggering 48 million units in the Holiday quarter of 2012, but while that still wasn’t enough to convince analysts in Cupertino’s bright future, fact remains that the iPhone is the dominant smartphone in the United States. Elsewhere? Not really. Apple might have doubled its sales in China this past quarter, but now reports have come in that sell-through in terms of the international market is actually slowing down, according to Raymond James analyst Tavis McCourt. The percentage McCourt quotes are 35% sell-through in Q4 2012, down from 40% in the preceding trimester. “This would be a strong result except for the fact that the comp was easy internationally for Apple as the iPhone 5 launches occurred far earlier this year in most countries than last year’s 4S launch. March will be a tougher comp internationally,” McCourt broke down the figure’s meaning. Could an Apple deal with China Mobile save the day? That’s one possibility, but we’ll have to wait and see. It's time to do the Math Apple.... Bring out your 4.7" iphone Math, and you'll have a sell from this customer... Writing this from my iMac, with too many Apps in itunes not to stick with iphone. Be brave. My co-worker was. He had too many Apps and videos and songs, too. And today, after being underwhelmed by both the 4s and 5, he's rolling with a Note 2, and couldn't be happier. So happy, he got rid of the wife's iPhone, too, and got her a Galaxy S3. Hey tedkord... Don't get me wrong, i carry the OG-Note and the iphone... Although i Love my Note and as you see, by my avatar who my favorite is... I also love my iPhone, That thing can hold so many App Games, that it runs circles around Samsung internal storage. try loading a couple Apps from Gameloft 1.4GB, iphones hold more games. The problem with Apple is NOT ONLY THE SCREEN SIZE but also the OS. The OS got stuck, booorrrrrrrrrrrrrrrriiiiiiinnnnnnnggggggggggggggg.​.... This is the fruit of suing Samsung/Google. Apple should use the money to innovate..... Now, when Samsung, Google and other have better patent, Apple will be die in misery. Its not happy springs always. Time changes in blink of eye and so is with Apple. It must admit its now not so cool as touted earlier days. Here comes the "We're just waiting for the iPhone 5S." post. 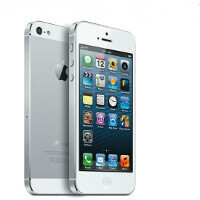 "...fact remains that the iPhone is the dominant smartphone in the United States. Elsewhere? Not really." We have all been saying that from the beginning... It's just "us" not them.